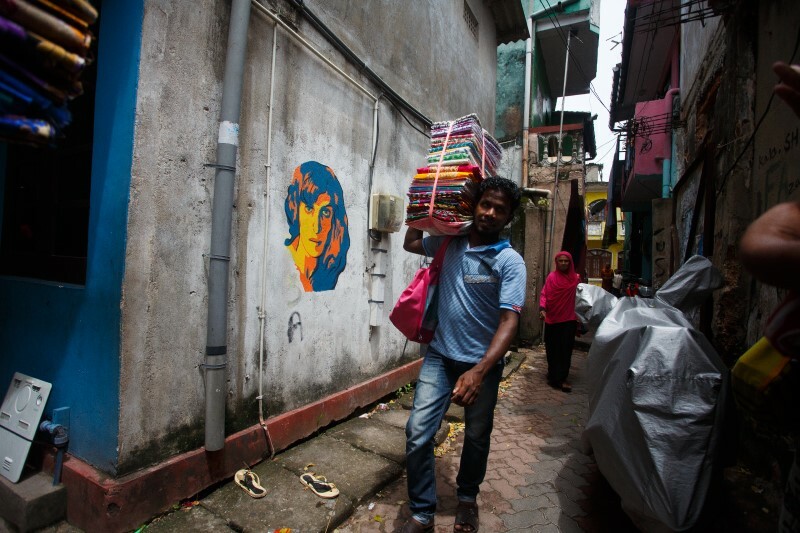 Colombo’s Slave Island has lived so many lives. The former slave prison, military station, botanical garden and popular picknick spot has grown into what it is today, a hub of vibrant activity where African, Indian, Javanese, Burgher, Moor and most prominently Malay heritage are visible at every street corner. You can hear it in the music, see it in the colours and taste it in the food. 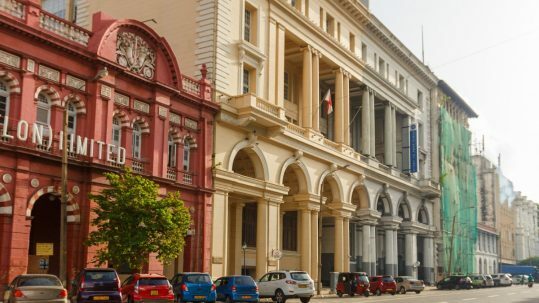 No longer an island in crocodile-infested waters, it is a diverse vibrant community that is unique in Colombo. But it may not be there much longer. The whole quarter is under threat of demolition, and is being swallowed up by the skyscrapers rising around it. Slave island is about to undergo another reincarnation. 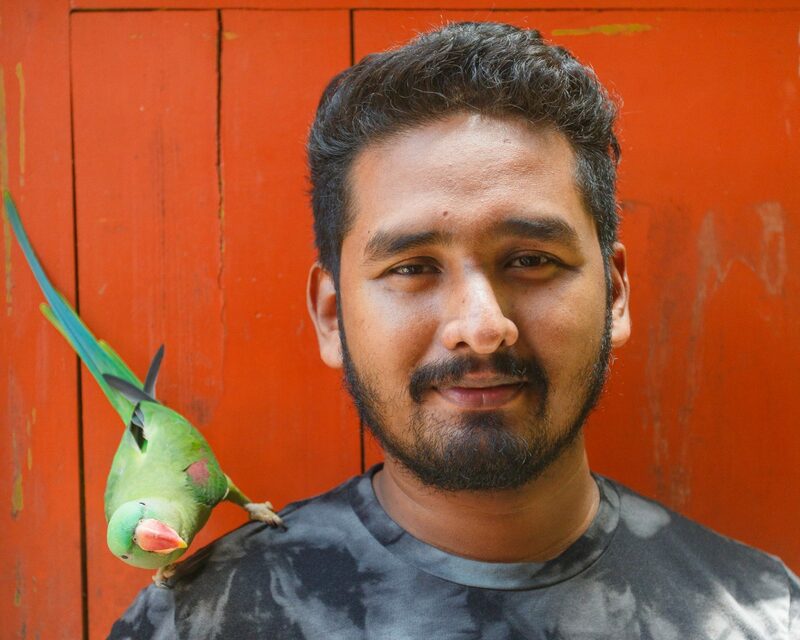 The Colombo Heritage Collective, a passionate group of young locals feels strongly about the place and started collecting stories of buildings and people to put those stories on a map and in an app before they may disappear forever. 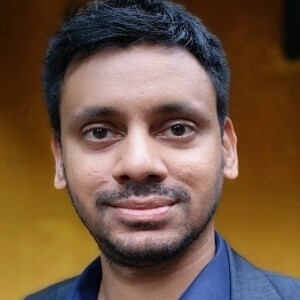 They found Firi Rahman, a Slave Island local who is not only a very talented artist, but also the man behind a series of many community initiatives to save the unique heritage of this place. Together they created a beautiful storytelling project that doubles as a travel guide for this unique old neighbourhood. 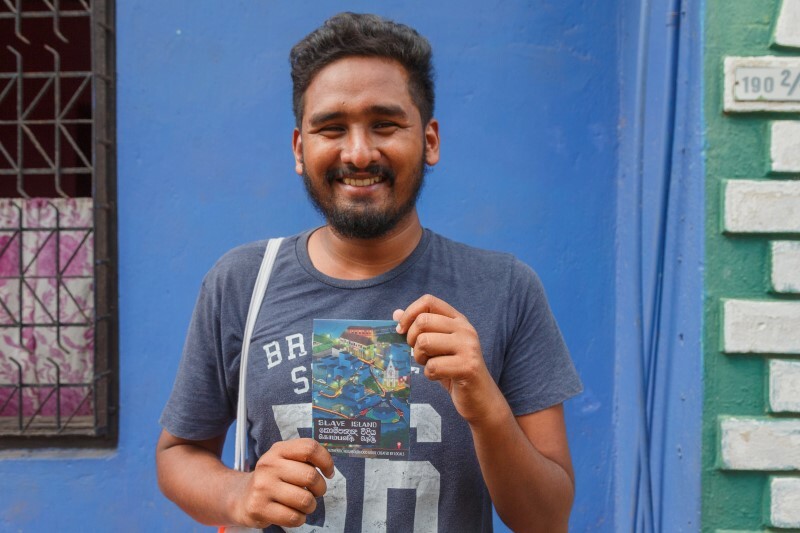 We caught up with Firi in Slave Island Colombo to find out more. What inspired you for the style of the map? I wanted to draw Slave Island by dusk, when the spirit of the place comes alive. That’s when people go out to eat, pray and play. I’ve also put in a flock of pigeons. There are many pigeon keepers here in Slave Island. When they release the birds, it’s like they have a little party in the sky and then they find their way back home. Every fall when the winds come people are up on the roofs flying their kites, it’s an amazing colourful spectacle. The temples at the Beira Lake – the famous Seema Malaka and Gangaramaya Temple – I’ve drawn at the time of the Vesak lantern festival in May when there are dancers, food sellers, and beautiful light decorations. What was it like mapping this neighbourhood? We were a great team, writer Nadeesha Paulis and Chathura, the photographer. Some people were a bit reluctant to share their stories at first, but when they started talking, they couldn’t stop, we learned so many interesting things about family histories and past generations. You live in Slave Island yourself, what are important places for you? Of course, many of my favourite eateries are here, like Boolan, Kabeer & Sons and Fazly’s. What was important for me was that the old Castle Hotel was on the map – not the new one – because it was such an important place for the local community. We also wanted to document places that are disappearing from the streetscape, like the Java Lane mosque, which is still there but no longer accessible. This Malay mosque is now blocked by the scaffolding of the building sites. And there are the many places, where we don’t know whether they’ll still be here in a few years’ time, like the famous Rio Cinema, or the iconic row of De Zoysa shophouses. The street already changed beyond recognition with the big skyscrapers, it’s distressing to see what’s happening, you can no longer see the sunset because of these new skyscrapers. Why is it important to map these places now? It’s not that the people are hopeless but it’s a time of rapid change for us and we’re all adjusting. I want to give people the feeling that this place, its heritage and culture has value. With all these new buildings they may feel that their land and their properties can be bought just like that. I tell the stories of the community, to make people feel proud of their place. That’s why with some friends I started the interactive mural project #WeAreFromHere. 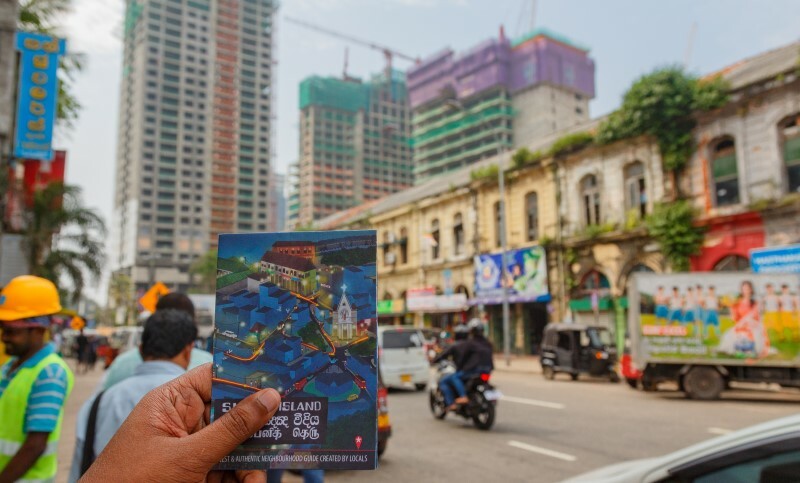 We want to show a different side of Colombo’s Slave Island community, the people who make this a fascinating, unique and diverse place and together form a multifaceted, resilient community. We paint murals of locals on walls all around Slave Island, sportspeople, street vendors, mechanics, musicians, actors and artists. It’s like a treasure hunt, but with people! You get a card of a person, and you have to find the respective wall mural. The idea is not just to get to know a person, but also find out how they matter to the community. 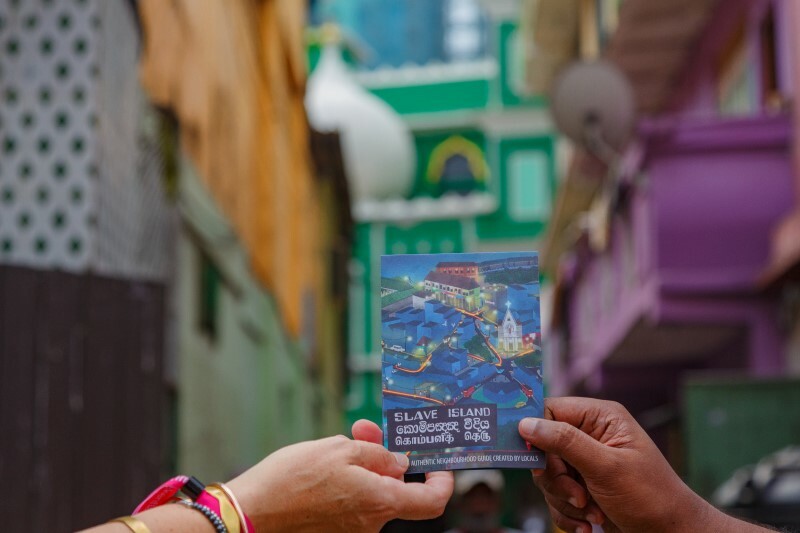 Ready for a Slave Island Colombo discovery? 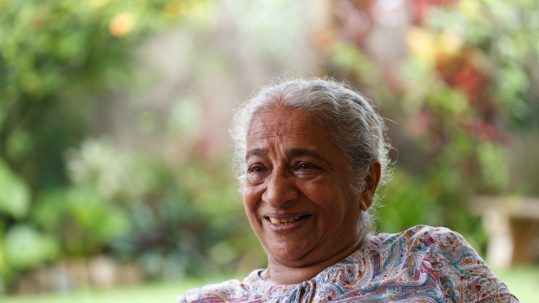 Firi Rahman is an artist who lives and works in Slave Island. He captures the uniqueness of place in his conceptual cartography and ink pen drawings. 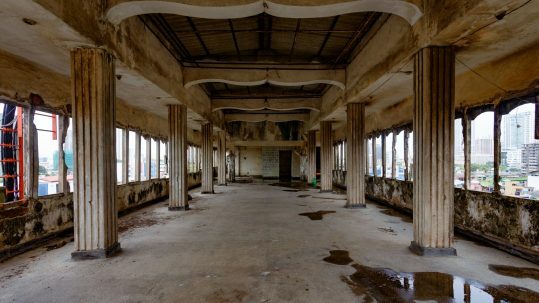 Firi loves to wander, photograph abandoned places, and learn the stories of forgotten corners. 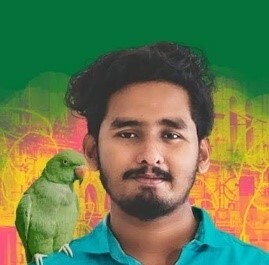 Among his many passions is Firi’s love of parrots: “I live in my own urban jungle”. Follow him at @ifiri.